Consumers seek out other consumers’ input to facilitate and remove some of the ambiguity and risk from the purchase decision-making process through online word of mouth (eWOM) (Sparks and Browning 2011). This makes consumer reviews important for anyone seeking to sell products and services both inside and outside the sharing economy. The eWOM literature largely focuses on review authenticity and credibility from the point of view of fake online reviews (i.e., astroturfing), such as reviews created by business owners or generated using artificial intelligence (c.f. Castillo et al. 2013) or the deletion of negative reviews (c.f. Bamman et al. 2012). However, there is scant attention given to customer reviews and ratings that do not reflect customers’ true opinions and feelings of their experience. For example, consider ridesharing services, such as Uber and Lyft, where consumers have little knowledge outside of the numerical evaluation ratings other customers give their drivers. On these platforms, researchers have observed rating inflation where customers give drivers top marks even when things go wrong and expectations are not met (Cook 2015; Etzioni 2017). This pattern of rating inflation exists in other sharing economy contexts as well including, notably, the accommodation sharing industry (Zervas et al. 2015, 2014). 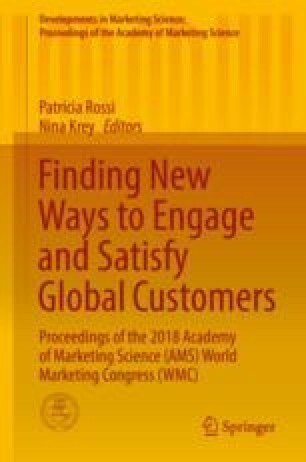 This article proposes that customers perceive an organization’s own market label by processing marketing positioning information, such as those found on websites. A market label is a metaphoric word or phrase that expresses an organization’s identity and constructs relationships between the organization and other stakeholders. This paper examines whether the customer reviews and the sentiment within them corresponds to how an organization positions or presents itself in the marketplace. Specifically, we introduce the professional and amateur market labels and analyze the impact of the organization’s sales pitches.